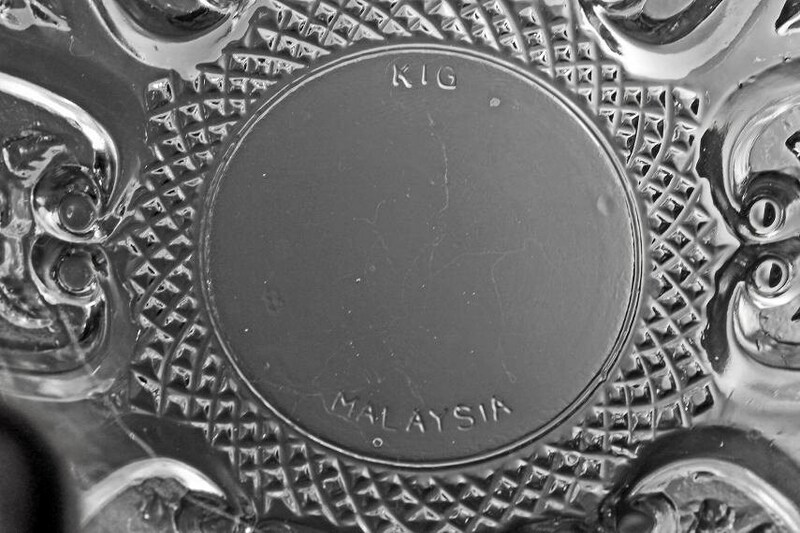 A charming small candy dish by KIG Malaysia. The pattern consists of roses inside hearts with crosshatch and arch. 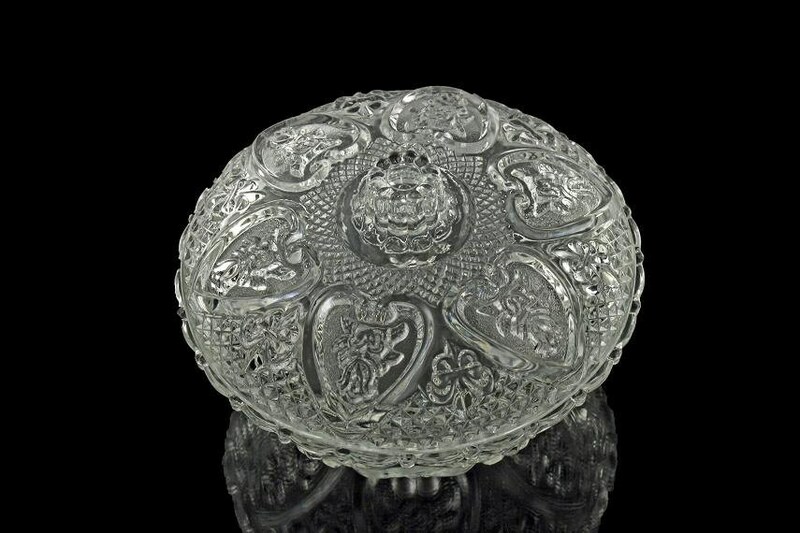 It would make a great addition to a dining table, buffet, or sideboard. 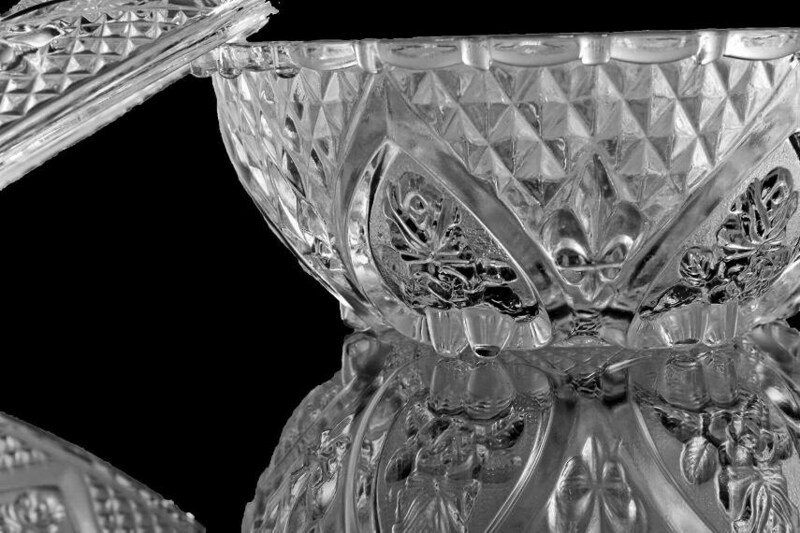 It would be beautiful on a coffee table or in a curio cabinet. 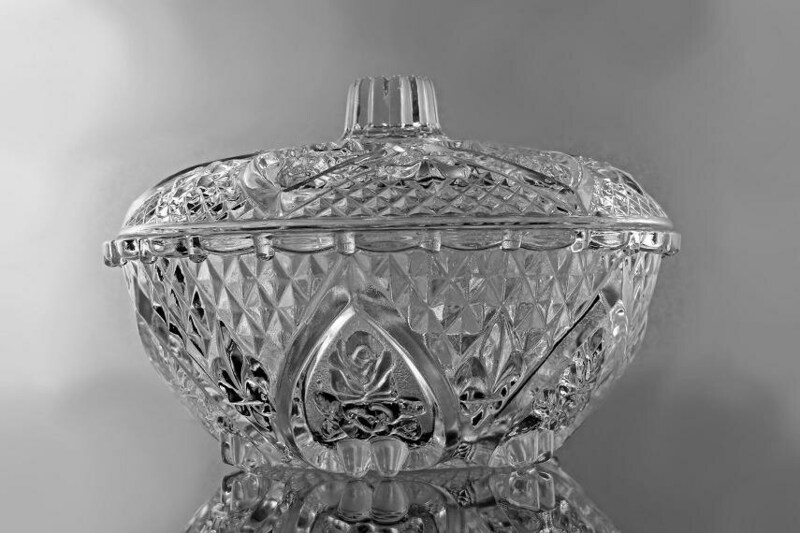 This is a vintage candy dish, but it is in excellent condition. It has little signs of being used. There are no cracks, chips, or scratches. 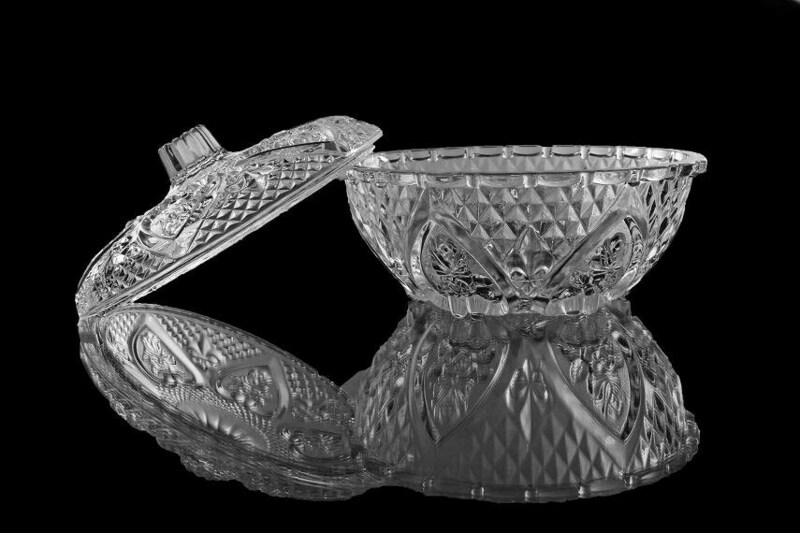 This candy dish would make a great hostess, housewarming, Valentine's Day, or holiday gift.